Curious to try printing using TPU? Here is a mini guide to discover the features of this material, and some tips to improve your 3D prints! TPU is a thermoplastic polyurethane: this material, in fact, combines the thermoplastic nature, that allows it to be modeled (even repeatedly) to form solid, finished products after being heated up and softened, with the characteristics of polyurethanes. Composed of polyurethane and rubber, TPU is a material with great flexibility, resistant to abrasion and impact, elastic and capable of deforming without losing the original shape; moreover, this material is weather resistant. Thanks to its characteristics, the TPU is widely used in different sectors such as sport, automotive (for interiors in particular, for example to realize gear sticks and door handles), clothing (shoes, watch straps, elastic bands …) and to make covers of various kinds; generally, we can say that this material is used to make objects that must have a soft and rubbery consistency. TPU has many features: in addition to those already listed (elasticity and flexibility even at high temperatures, resistance to impact, scratch and abrasion, as well as atmospheric agents), this polyurethane has a high capacity to repel chemical agents like oils, fats and solvents, and it is hydrophobic (it does not absorb water). Other features of the material include its non-toxicity once printed: it is, in fact, used in the biomedical field, although it is not clear if the powders that are released during the printing phase are toxic or not. 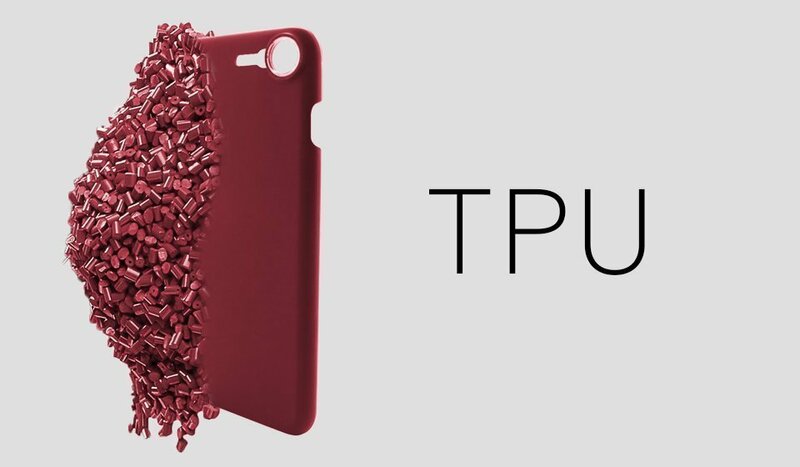 Finally, the TPU is almost completely odorless, practically transparent and easy to color. TPU, like all flexible materials, is not very easy to print: for this reason, we recommend, once a satisfactory quality is achieved, to keep a record of the printing parameters, to avoid wasting time in the future. This material can be successfully printed on any surface. To get to have a good first layer, it may be necessary to slightly increase the distance between the nozzle and the plate. During the printing phase, it is advisable not to exceed the speed of 30mm/sec and, above all, to turn off retraction.